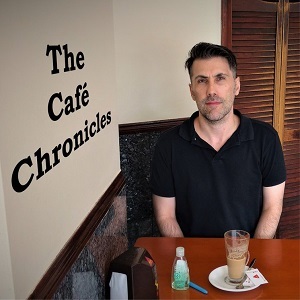 Daniel Ruiz Tizon returns with a brand new series, presenting daily missives from the South Lambeth Portuguese café he has holed himself up in since the summer of 2001. As the gentrification sweeping through Nine Elms and Vauxhall accelerates, The Café Chronicles documents the characters and community threatened by these changes. It’s a world of tobacco, discarded chicken bones, faded denim, easily slighted personalities, exaggerated Mediterranean gesticulations and coffee, the glue that holds the old community together. The weekly appearance of the non-handwashing Singing Spaniard has Daniel bemoaning the reluctance among the café’s regulars to embrace handwashing after using the loos. Written and presented by Daniel Ruiz Tizon.